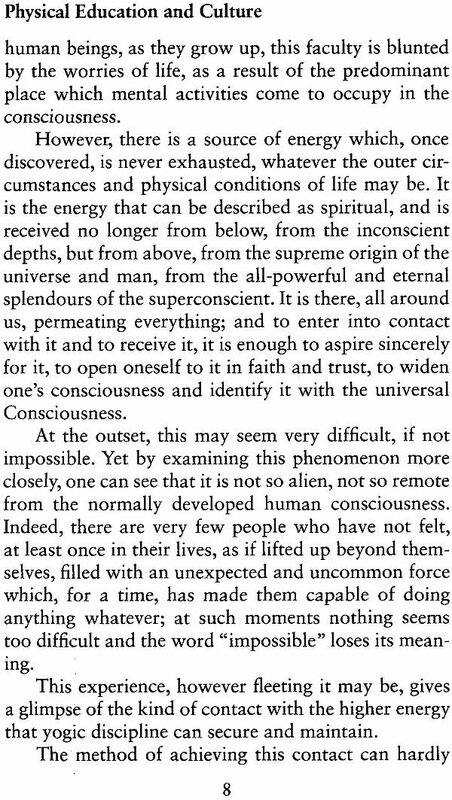 The human body must be improved, perfected, and it must become a superhuman body capable of expressing a being higher than man.... 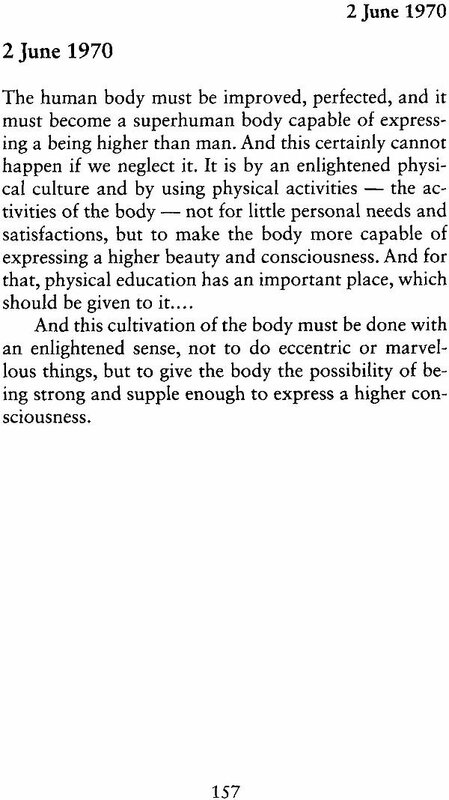 It is by an enlightened physical culture and by using physical activities - the activities of the body - not for little personal needs and satisfactions, but to make the body more capable of expressing a higher beauty and consciousness. 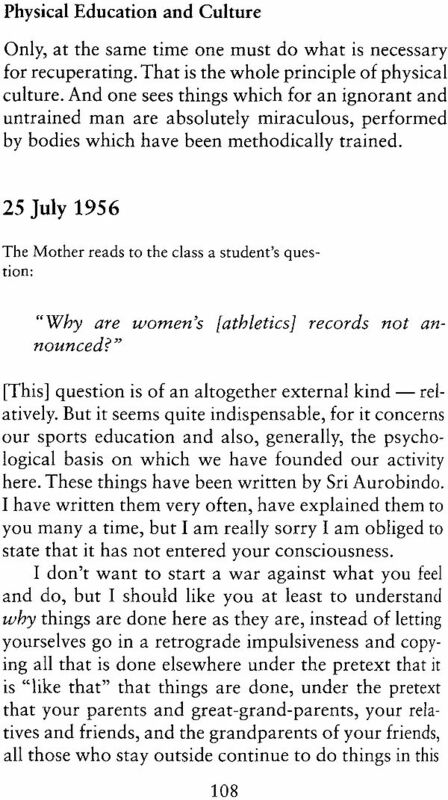 This book, which was formerly titled Education (Part Three): Physical Education, contains articles, notes, letters, messages, and conversations of the Mother in which she explains the fundamentals of physical education and the need for spiritual seekers to remain active, disciplined, and balanced in their physical lives. This compilation deals primarily with the fundamentals of physical education, with the disciplines and attitudes helpful to developing a strong, healthy and conscious body. Part I consists of articles, Part II of notes, letters and messages, and Part III of conversations. 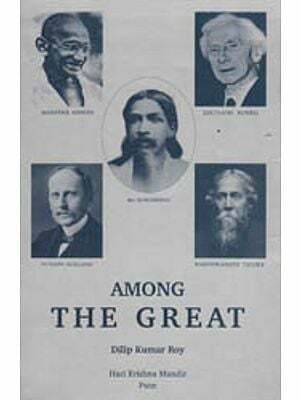 Notes on the texts and a glossary of Sanskrit and other terms have been included at the end of the book. 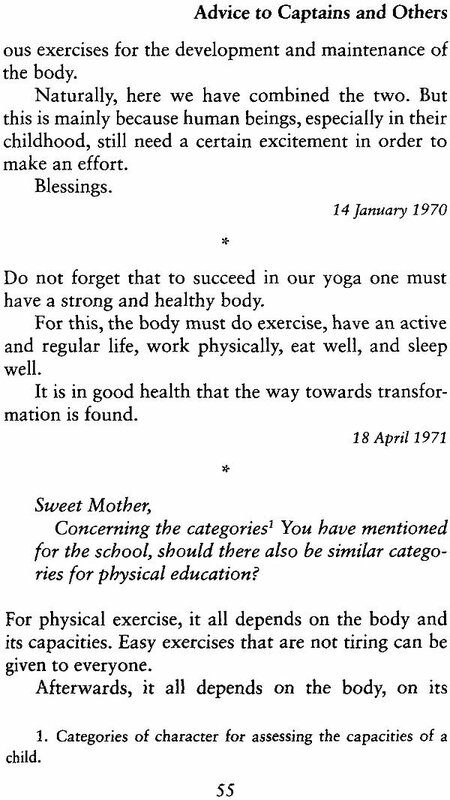 "Physical Education", wrote the Mother, "is meant to bring into the body, consciousness and control, discipline and mastery, all things necessary for a higher and better life." 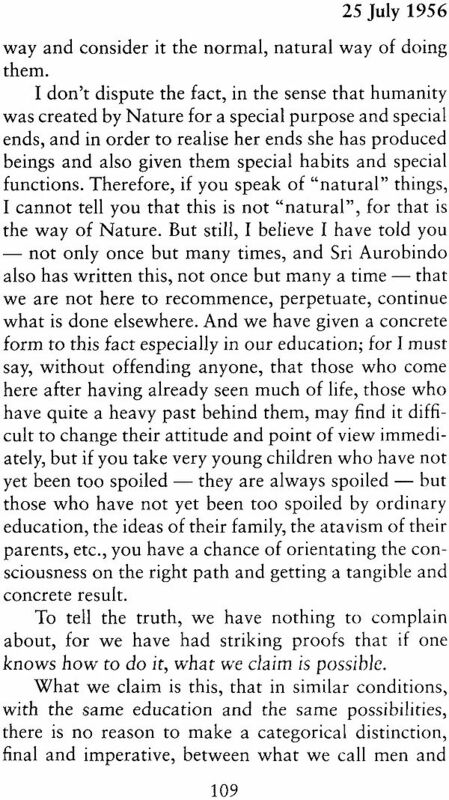 As head of the Sri Aurobindo Ashram, she consistently encouraged its members to lead active and healthy lives. During the first two decades of the Ashram's existence the arrangements for exercise were informal; individuals kept fit mainly through such activities as gardening, walking and their work. 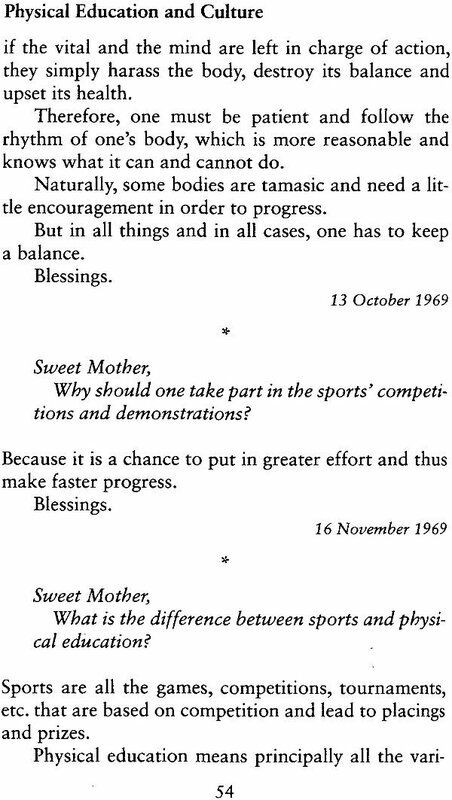 Then in the early 1940s several families were taken into the community and physical activities organised for their children. This led to the founding of a Department of Physical Education in May 1945; its role was to establish a formal exercise programme both for the children and the members of the Ashram. The Mother guided the development of this department and for years spent her late afternoon and evening hours with those who took part in its activities. The department's programme is coordinated and supervised by a group of instructors known as captains, who give training in a variety of areas, such as games, gymnastics, athletics (track and field events), swimming, weight-lifting, combative sports and asanas. The Mother considered physical education to be an important element in man's quest for perfection and a valuable adjunct to his spiritual life. "We want to come in contact with the supreme consciousness, the universal consciousness," she stated, "we want to bring it down in ourselves and manifest it. But for that we must have a very strong base; our base is our physical being, our body." 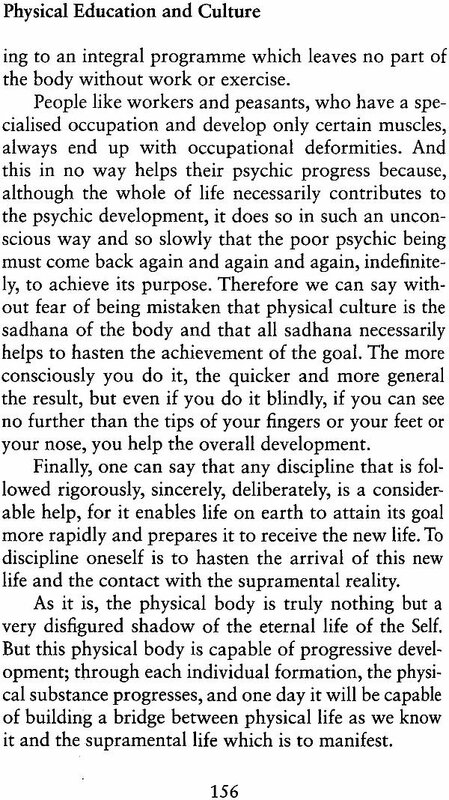 By making the body strong, supple, resilient, skilful and conscious, physical education makes it fit for the spiritual endeavour. For this reason the Mother repeatedly exhorted spiritual seekers to remain active, disciplined and balanced in their physical lives. 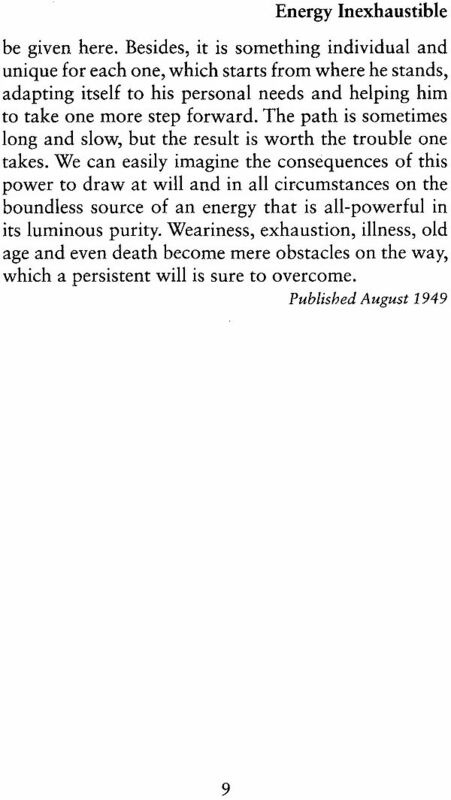 "For us", she said, "spiritual life does not mean contempt for matter but its divinisation. We do not want to reject the body but to transform it. For this physical education is one of the means most directly effective."